If you’re serious about security for your tool or equipment, no matter the space, this standard tool security cupboard is the perfect storage solution for you. With industrial steel construction and integrated safety features like a three point espagnolette lock and semi-concealed hinges, this cupboard is the ideal solution for keeping your possessions safe and secure. 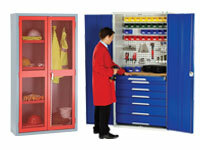 What is The Purpose of the Standard Tool Security Cupboard? With three different models available, you can upgrade your secure storage solutions with ease. 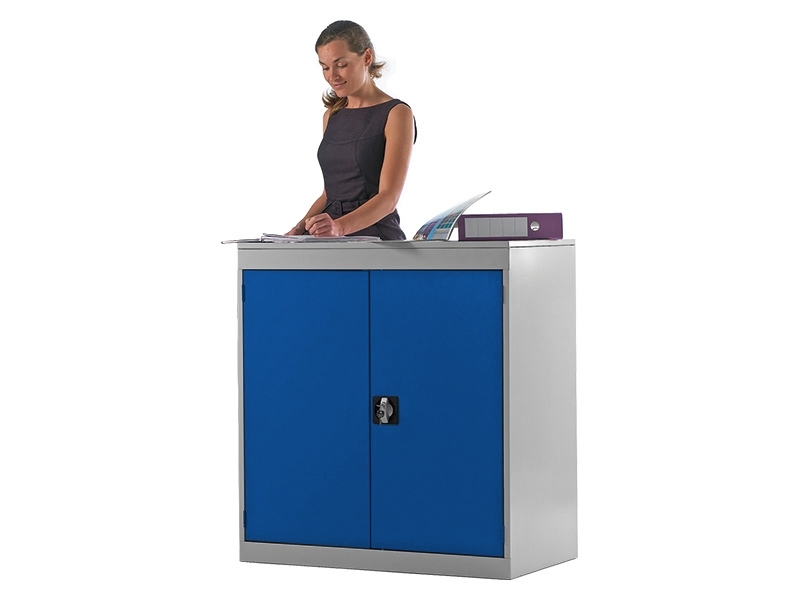 The basic standard tool security cupboard arrives without shelves and is ideal for fitting large or cumbersome power tools or other sensitive equipment. The standard model has the option for two or three shelves, while the deluxe security standard tool security cupboard has an additional hasp and is staple fitted for the best protection of your assets. In two different heights, this standard tool security cupboard is designed to fit neatly with existing cabinets or workbenches with ease. With sturdy double door in a variety of colour options, these cupboards are sure to upgrade your current storage solutions with added security and safety for your tools. Extra shelf clips and shelves add easy and functional storage to any of these secure models. Whether you share a workspace with others, or need to keep harmful chemicals safely away from children and pets, these standard tool security cupboards are the perfect solution. Designed to coordinate with your current work area in a wide variety of door colours, these cupboards are the ideal place to store and protect your equipment, products, or tools. Two different heights with seven door colour options. 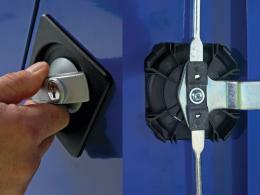 Industrial, reliable steel construction and three point espagnolette locking system. Additional shelf clips and shelves available.